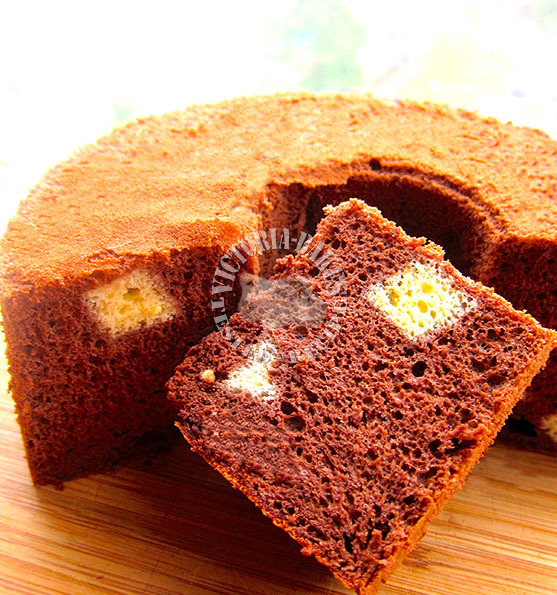 yes, i’m into this chiffon cake craze ever since i bought this japanese chiffon cake book…. 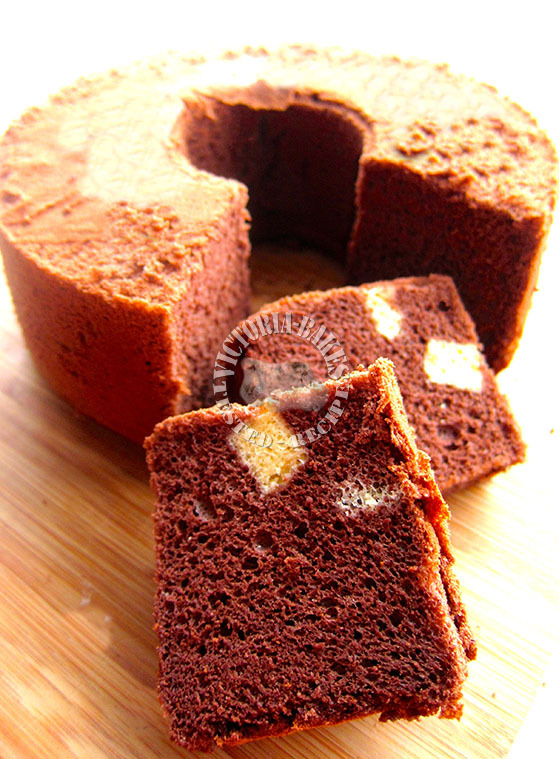 i’d never baked a chocolate chiffon cake before and decided to give this a go… and oh yes… since there was one slice of coconut chiffon cake leftover from the last bake, i’d decided to cube this up and add this to the chocolate cake…. 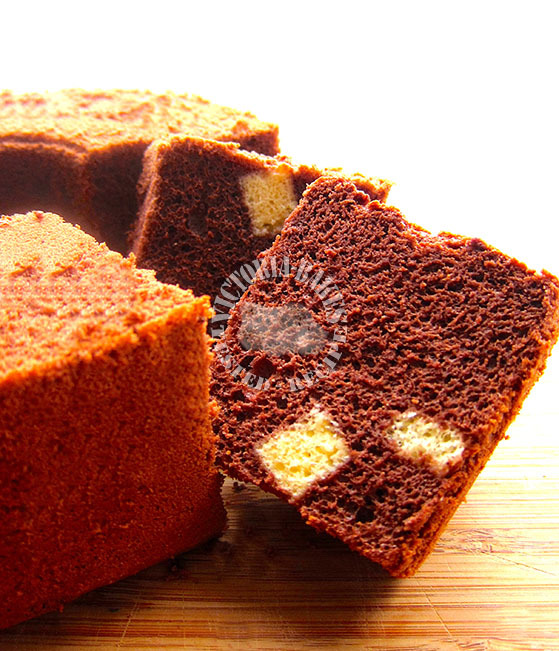 Now you are making me crave for chiffon cakes. Have not baked one in ages! 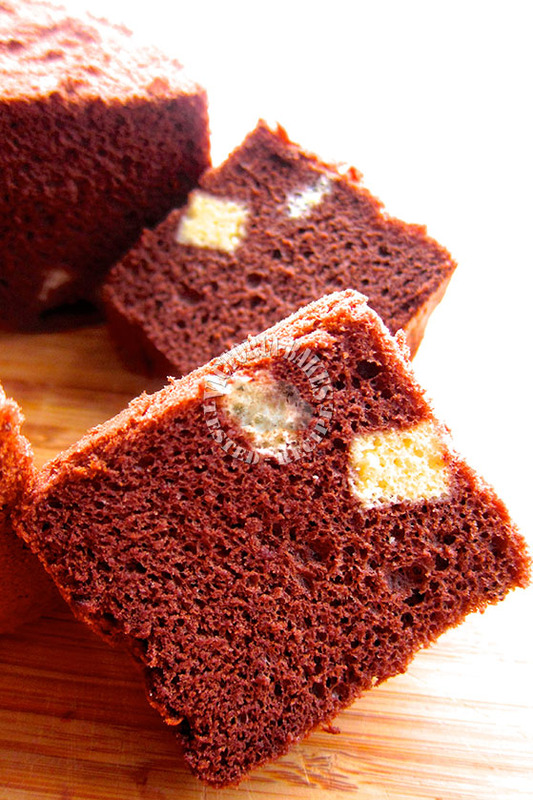 Your cake looks lovely and a nice touch with the added \”chiffon cubes\”: in it! wow, this is like a double choc to me with cocoa powder and melted choc both added in! Yums! thx for sharing both scale versions of recipe!